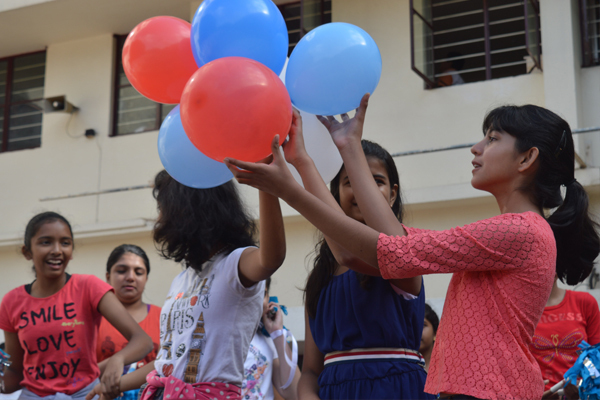 The French National day was celebrated by students in NPS, Indiranagar on 15th July 2016. The excitement was palpable as the narrators eloquently began their introductions in the lilting sounds of the French language. The opening act was a vivacious dance by students of class 7 who enthralled the crowd with their graceful moves. Next came an uplifting song about Jean D’Arc (Joan of Arc) — a French revolutionary who stood up to the might of the British Empire as a young girl. France is synonymous with football and soccer mania and it was the turn of the boys to capture this in their dance - a robust and physically demanding performance which had the audience tapping their feet. The show was crowned by the singing of the French National Anthem - a solemn affair that brought the proceedings to a fitting end.